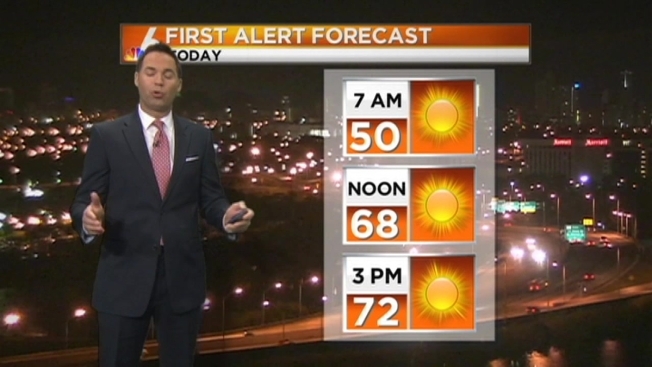 In the wake of Thursday’s cold front, Friday’s forecast is looking bright but cool. Morning temperatures dipped into the upper 40s and lower 50s in South Florida but will rebound rapidly into the lower 70s Friday afternoon. High pressure will linger for a few days, leading to a dry forecast across South Florida. The holiday weekend forecast is mostly sunny and pleasant with low humidity. Highs will be around 78.